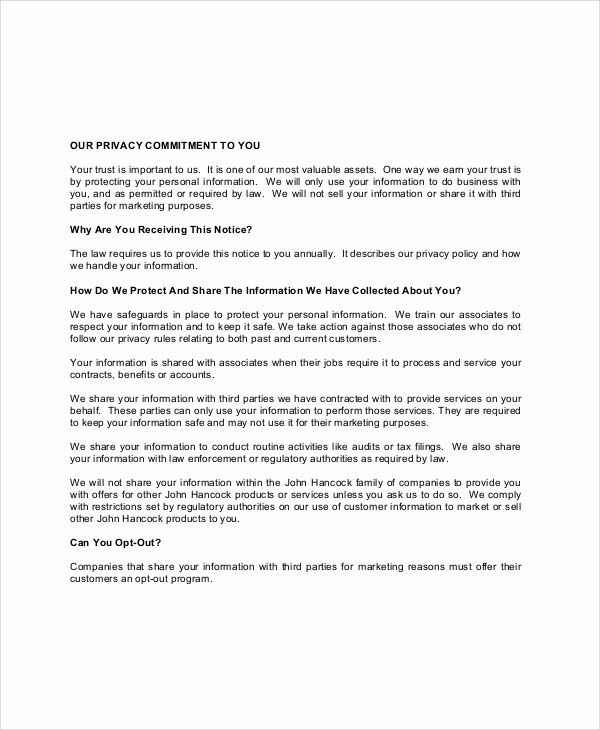 In business transactions or even client-supplier agreements, a privacy notice ensures that both parties’ rights are protected, especially when it comes to data information and other important details that may hamper their security and reputation. When an adverse action notice is issued, privacy of information is of paramount concern as it involves personal and financial information. In cases of a tenant eviction notice, privacy is also necessary, although most apartments and residences do not observe this. As consumers, we all have to protect our right to privacy. 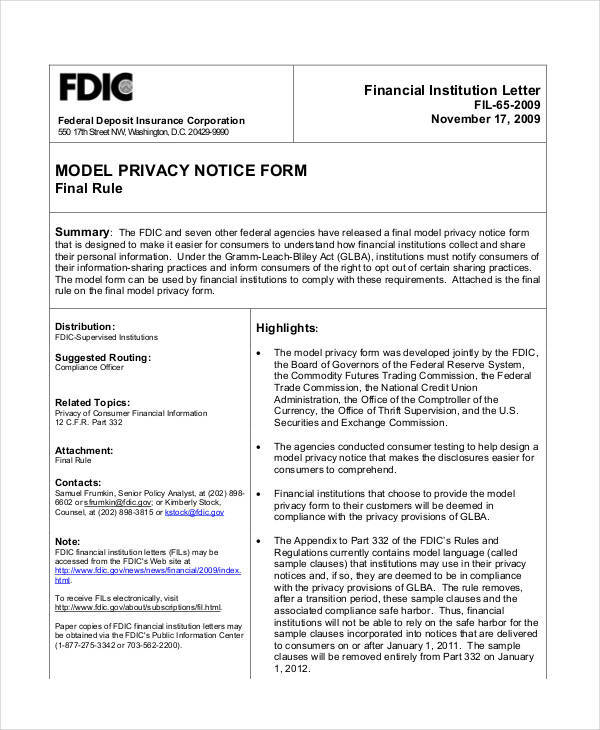 Let us then discuss what a privacy notice is. 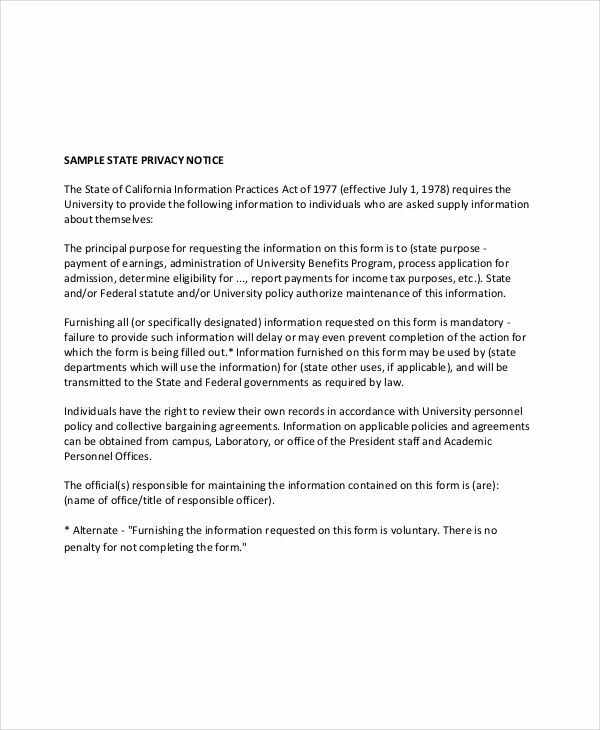 A privacy notice is any written statement that specifies in details how an organization gathers, uses, and discloses your personal information should you enter into any contractual relationship with them. 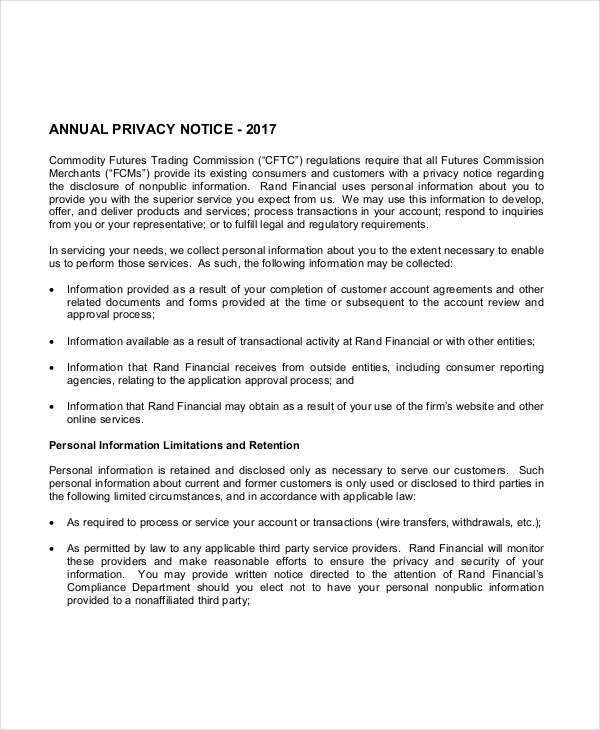 Privacy free notices are often used by financial establishments, government bureaus, and large corporations. It is also a mandatory procedure required by some countries whose laws demand the disclosure of how personal information is used by companies. It allows their citizens to uphold their right to privacy. A privacy notice is given is to let customers know how their information is used or how it was obtained. It is one way of observing every person’s privacy rights. It is also important in order to limit the disclosure of the information. It is a critical inclusion to the agreement of terms and conditions with a certain entity. Thanks to its nature, it is deemed inappropriate to draft it as a short notice. Usually, privacy notices are sent to customers at least right before he/she provides his/her personal information. 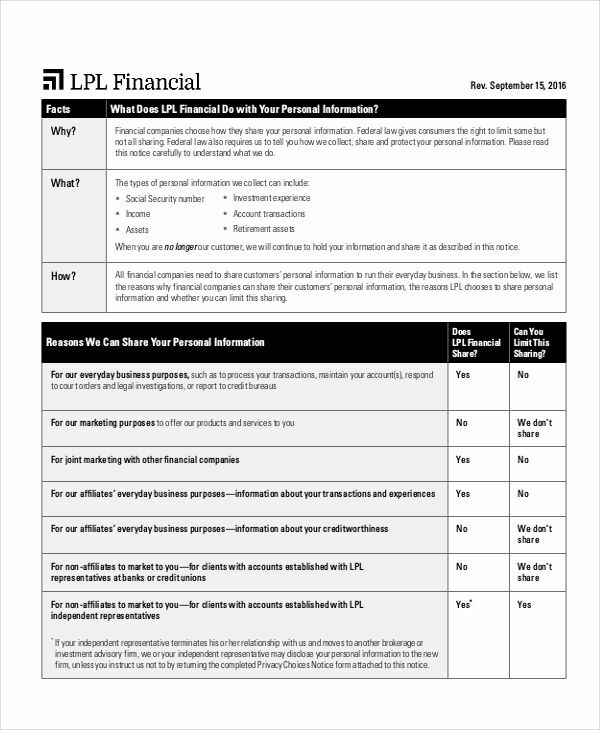 What Must Be Included in a Privacy Notice? Organization’s name. 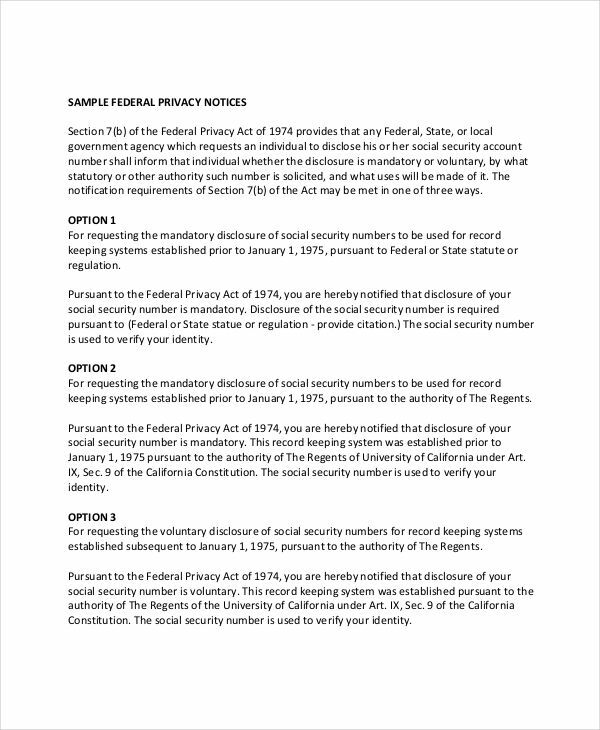 A privacy notice should contain the sender’s name and who they are. It should clearly state the organization’s identity. Statement of purpose. This should answer the what the notice is for, what information is collected/used, and why. Recipient. 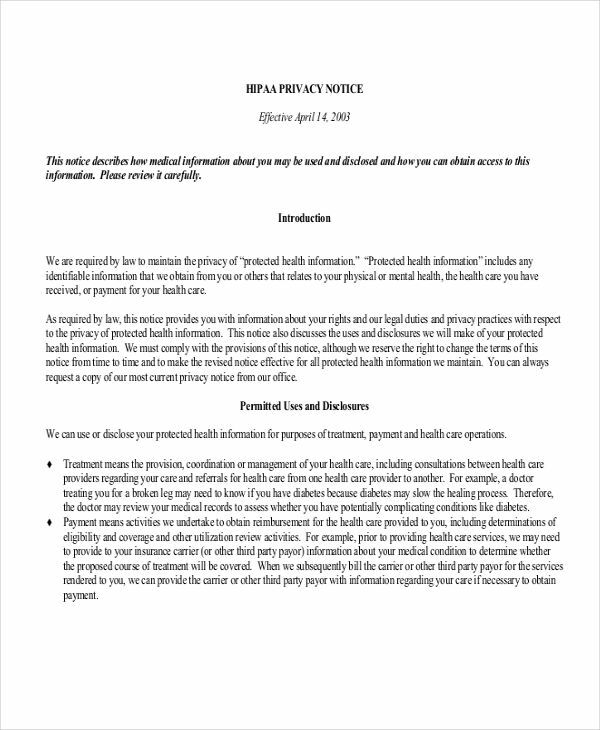 Naturally, even a template privacy notice letter should directly address a client/customer to reassure them their individual cases are documented. There are different kinds of notices used externally with clients and internally between employees (see employee notice examples), but all formal notices should have the same standards when it comes to their preparation. Do your research. 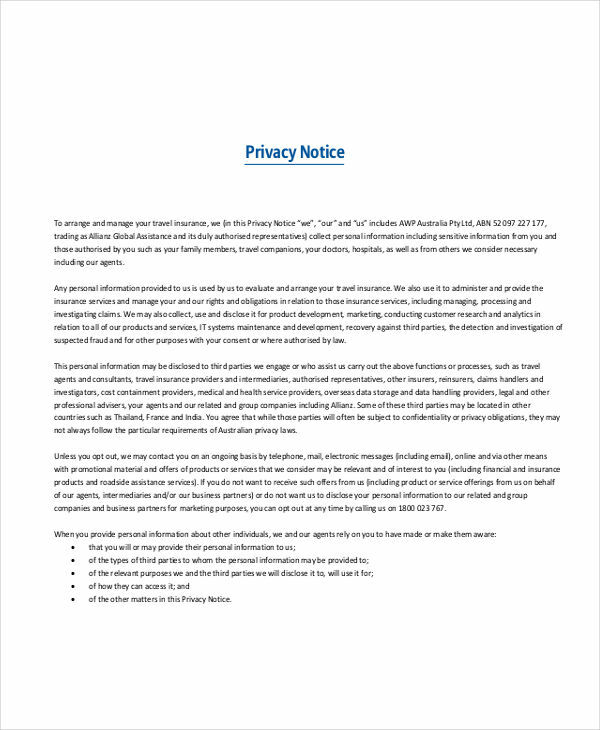 When in doubt, look up other examples on how to write a privacy notice. Use structure. Adopt a pattern on how you write your notice in pdf, even if it’s just the standard introduction, body, and conclusion. Use direct and clear language. Though it is a serious document, try not to complicate how you convey things, because people will need and want to understand this notice. Be honest and consistent. Uphold your company’s values by ensuring that your privacy notice contains truthful information about what you do and how you do. 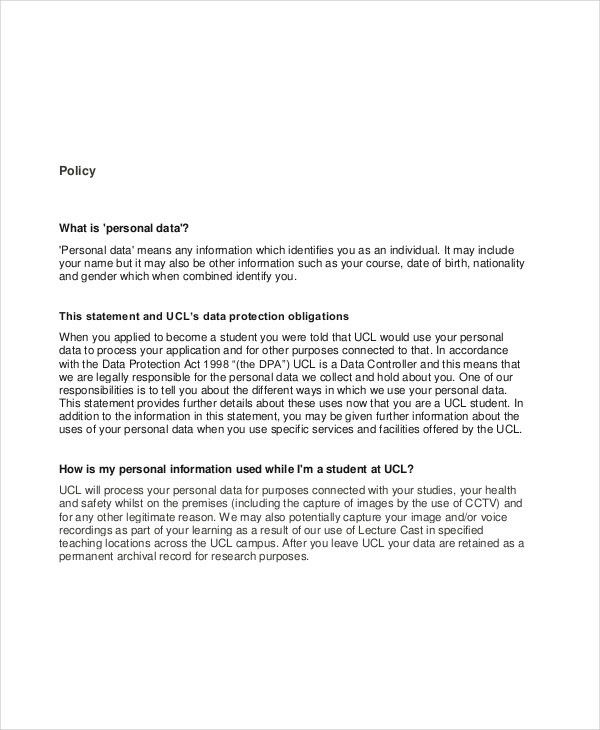 Lastly, be consistent with your policy with information privacy.